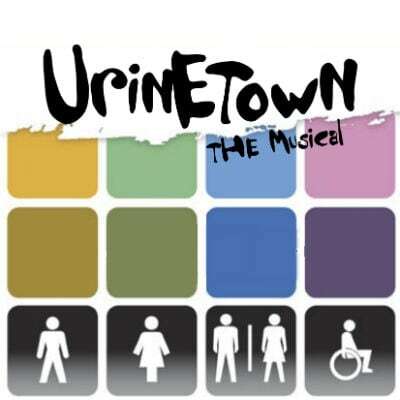 Urinetown is a satirical show about love, revolution, greed and corruption. In a worn down town, a twenty year drought led to a ban on all private bathrooms and forcing even the poorest people to pay to use public amenities. This album features 32 tracks. Tracks 1-16 contain the background tracks and guide vocals; tracks 17-32 contain the accompaniment tracks alone. This album is a new recording in the original show keys and tempos.